Good news! You are not a robot for Jesus. That is, God is not in control of you. He is not running a big puppet show. You have a say in the matter and without your say-so, it won’t happen. Here’s how it works: God goes first, and makes a promise. Then it’s your turn to say, “Yes” or “No.” If you say, “Yes,” God responds by keeping His promise. If you say “No,” He can’t. The merit is on the part of the Promisor who keeps His Word. God is saying: “TAKE MY WORD FOR IT.” Saying “Yes” to God is having FAITH. So “KEEP THE FAITH, Dude!” What is “faith”? Faith IN WHAT? 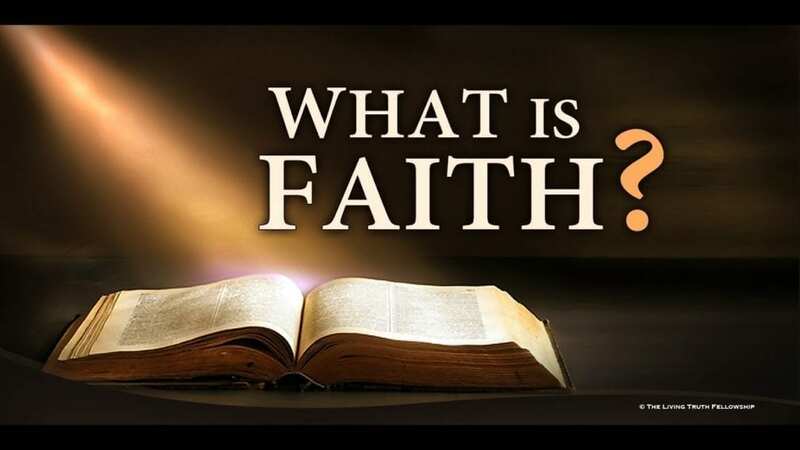 Faith is TRUST; so faith requires, and is generated in response to, an object: the promises of God. Then GOD’S POWER makes something happen. 02:12 You’re NOT a Robot or Puppet! God is NOT in control of you! 10:13 Faith is trust in an understandable promise. 11:40 Faith is NOT a force. Faith alone makes nothing happen. 29:25 Mark 11:23 always taken out of context. You have to have the promise FIRST! 41:10 Romans 4:16-22 How BIG is GOD to you? Magnify Him.